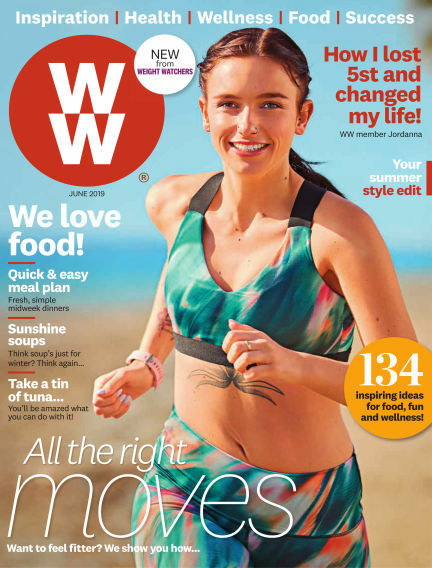 Enjoy WW Magazine (Weight Watchers reimagined) magazine and unlimited access to over 4,013 magazines on your mobile and tablet. All the magazines you can read for just £7.99 a month. WW magazine is a must-read for those who want to eat well, lose weight, lead a healthier lifestyle and feel their best. The magazine is the perfect source of monthly motivation, as each issue is bursting with success stories from a variety of real-life WW Members to help you feel inspired and discover how WW can work for you. Download a digital WW magazine subscription today and let us help you build a life of new, healthier habits – whether that means cooking and eating better, moving more, developing a more positive mindset, reaching your weight-loss goals, or all of the above!